Crypto mining and trading company “My Crypto Mine” has been forced to terminate its investment offerings in Texas, based on the order by the Texas State Securities Board. The action is effective immediately as the respondents offered unregulated securities and promised unrealistic profits. The Texas State Securities Board issued on November 27 an “Emergency Cease and Desist Order” against a cryptocurrency mining and trading business, dubbed My Crypto Mine. The California-based My Crypto Mine was allegedly offering unregistered securities tied to cryptocurrencies in the state of Texas. Moreover, its unregulated promoters were promising guaranteed passive investments, with lucrative returns that were ranging from 10% to 20% per month, depending on the size of the investment. According to the filing, the company touted its “no-risk” investments as an opportunity for people to raise funds for retirement, college tuition fees, or paying out debts, intentionally failing to disclose critical details about its operation. Specifically, although My Crypto Mine was involved in cryptocurrency mining, investors were unable to locate any information about the respective digital currencies, operational costs related to mining hardware and electricity, or material about the security of the platform. The official website didn’t specify whether My Crypto Mine was trading popular cryptocurrencies such as Bitcoin, Ethereum, and Monero, or if it mines new, unregulated cryptocurrencies (ICOs). The Texan regulatory body decided that My Crypto Mining was fundamentally deceiving investors, as cryptocurrency investments involve significant risks and can be negatively impacted by price volatility, governmental legislation, malicious attacks, or competing cryptocurrencies. Most notably, the Securities Commissioner of the State of Texas focused on Mark Royer, the man behind My Crypto Mine. Royer had joined Bruce Bise and Samuel Mendez, a white-collar criminal, and a disbarred attorney respectively, in a cryptocurrency-related scam called Bitqyck. Bitqyck was touted as “a new digital economy,” and Royer promoted its native coin Bitqy at $0.02, promising massive gains in the future. Instead of climbing at $3 as Royer was promising, Bitqy collapsed completely, losing 99% of its value and was trading at $0.000572 on November 11, 2018. However, after Royer launched My Crypto Mine, he neglected to mention his shady past with Bitqyck, mentioning only his 30-years experience in Information Technology and his expertise in cryptocurrencies over the last decade. 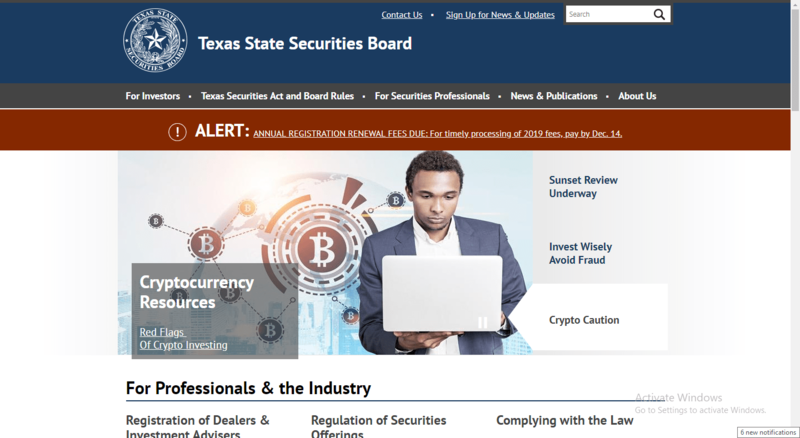 The Texas State Securities Board has ruled that the respondents were in violation of several sections of the Texas Securities Act. Therefore, it enforced My Crypto Mine to immediately Cease and Desist from selling securities in Texas until they register with the Securities Commissioner. Respondents will now have 31 days to request a written hearing before the order becomes final.